As soon as I saw the Thankful for Forest Friends stamp set, I knew I NEEDED it. 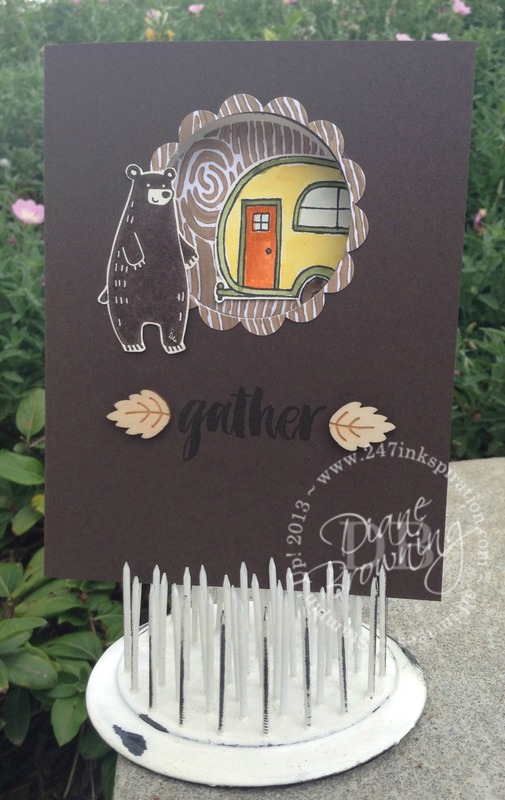 That adorable little bear would be perfect with the little camper in the You’re Sublime stamp set. I know that when people camp, they can get a little nervous when bears show up. The media portrays these bears as wild, ravaging beasts. But I’m here to tell you that’s not totally accurate. Look at that little cutie-pie standing by the camper. He’s just wants to be friends. Or maybe he’s looking for a snack. He knows you have honey in there to go with your tea. And bears love honey! This card required a little pre-planning before the stamping. I wanted the camper on the inside of the card to show through the opening in the front of the card. Plus I had to line up my circles just right for the scallop ring around the circle cutout in the front of the card. Then I used the circle that I cut out for the scallop ring on the inside of the card as a background for that cute camper. I colored the camper to match the lovely Into The Woods pattern paper. I’m loving all the sweet Fall stamps, paper, and embellishments in this year’s Holiday Mini Catalog. 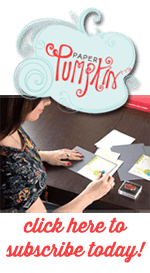 Did you know that for the first time ever, Stampin Up has released a list of things that will NOT be available after this Mini Catalog period. And actually, it’s while supplies last. Just look for the Holiday Retirement List to see what’s going away forever. I know I’m off to order more of that pattern paper and the wood embellishments.